So...what ever happened to JROBOT and the AVRcam? Last year, I was commissioned to write a code-commentary document detailing how the AVRcam works. The funding source agreed to allow full access to this document, so I'm posting it for the benefit of everyone. Enjoy! My latest robot has been taking almost all of my free-time these days. Check out the new vision system on this one! Prof. John Seng at Cal Poly in San Luis Obisbo, California purchased 26 AVRcam systems for his CPE482 Mobile Robotics class, being taught during the Fall of 2005. They will be used in conjunction with his PolyBot Controller. Added a modified version of FrameMgr.c that supports line following to the Download page. 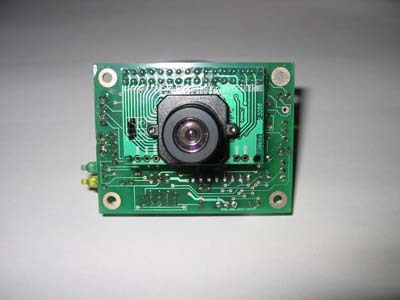 Also, added the source code to the ATtiny12 micro on the AVRcam. 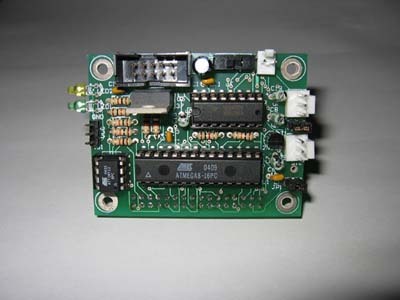 The AVRcam was the feature article in the April 2005 issue of Circuit Cellar (the annual Robotics issue). Adding a video of Eye-Bo 3 using the AVRcam to run a mock-up advanced line-following course (in preparation for the Chibots advanced line-following contest). Eye-Bo 3 was tracking the line at 30 frames/sec! This is my little corner of the world where I can document my projects (robots and other), and hopefully give a little something back to all those folks in the wired generation who have helped me out.